Distribution and habitat: Nymphoides aquatica species is most commonly found in Florida in calm, slow moving rivers and lakes. It is also found elsewhere in the Southern United States, including Alabama, Georgia, South Carolina and Virginia. In State of Maryland this plant is listed as an endangered species due to the shrinking acreage of some native Atlantic and Gulf Coastal Plains wetlands in which the species grows naturally. Description: Nymphoides aquatica is attractive and long-lasting decorative aquatic perennial plant which is treated as annual in unfavorable climates. 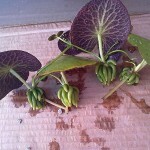 It is a unique looking rosette plant that gets its name from its banana shaped tubers. These unusual tubers are actually where the Nymphoides aquatica plant stores the nutrients. 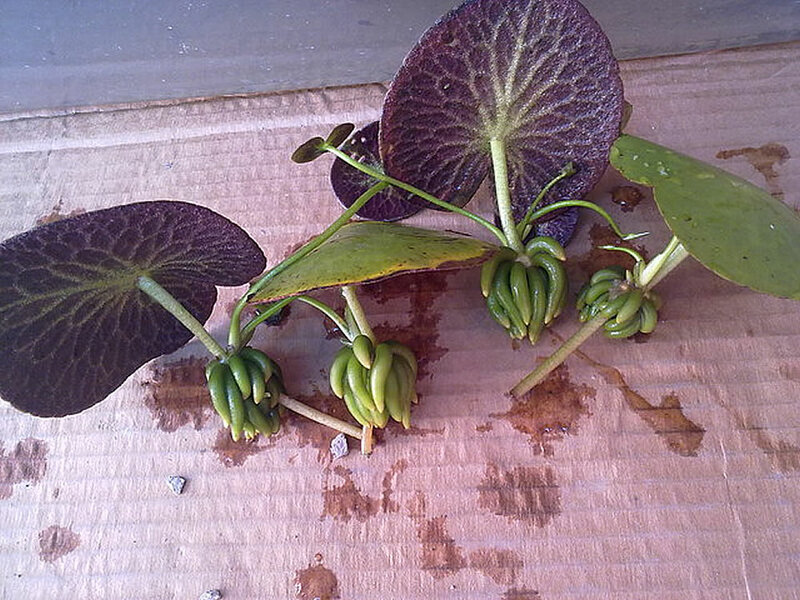 The cluster of thick banana-shaped tubers are located close to the leaves near the surface of the water. 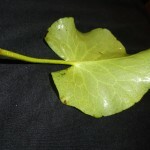 The leaves are rounded and have a notch at the base. They resemble small water lily leaves. The leaves are green above and dull purple below in high light and light green to yellow both below and above in low light conditions. 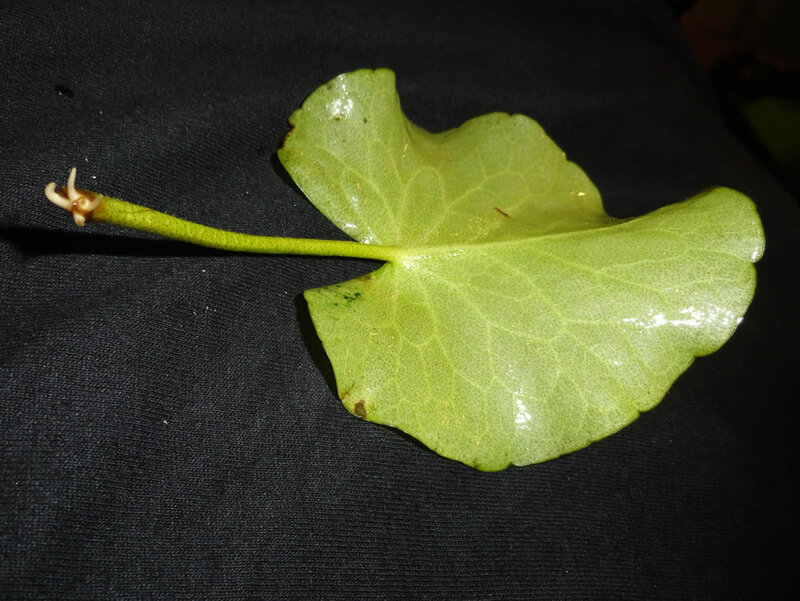 The lowermost leaves grow 15-45cm (6-18 inch) tall and frequently the plant will produce a floating lily leaf on a long petiole at the surface. It features showy small white five-petalled flowers that arise from below the leaf. It blooms late spring through early fall. The flowers are hermphrodites growing only on the surface of the water and the fruits sink after ripening. Nymphoides aquatica is an amphibious plant and will grow either fully or partially submerged. It makes really nice floating pads with white snowflake flowers in each leaf. In the fall every leaf forms another “banana” bunch. Care: Nymphoides aquatica is really easy to take care of and lives in most conditions, being tolerant of deep water and low light. 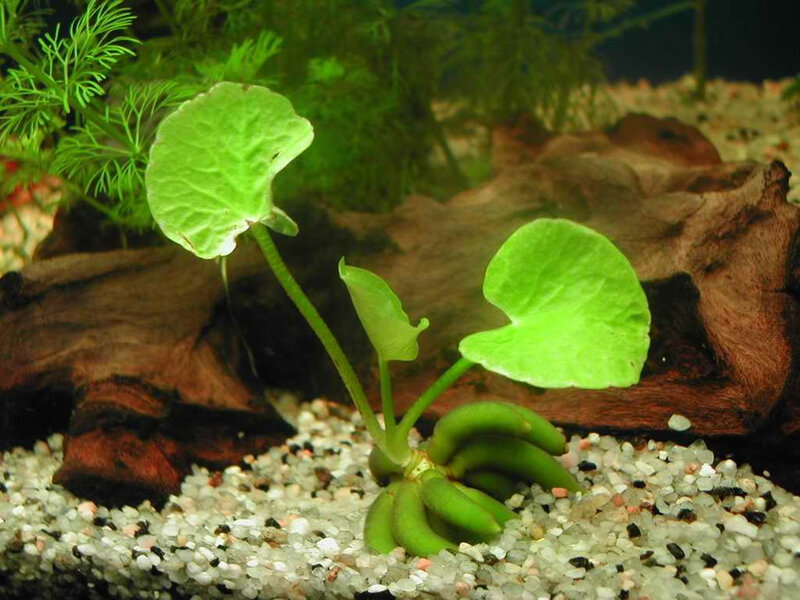 This plant can be grown rooted or as a floating plant and can produce floating or submersed leaves. Low light or shaded conditions and colder weather will result in plants reaching maturity in submersion. 80% of Nymphoides aquatica plants will sink to the bottom and root themselves. 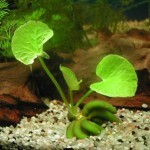 Left to float to the surface, the banana-shaped tubers will turn into obvious lilies fast. The floating Nymphoides aquatica‘s leaves typically mature, reaching full growth, in one to two weeks, dependent upon conditions and other environmental factors and flowers develop from just below the leaf structures. Given optimal conditions, this plant will commonly flower in the tank. Although Nymphoides aquatica is a perennial plant, returning years after year when cultivated in water gardens, some recommend replacing plants every four to five years for optimal showing. When needed, simply remove any dead leaves at the base of the plant, clip it close to the banana bunch. 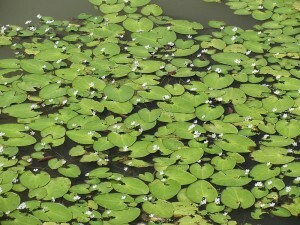 These plants grow pretty quickly and will continuously strive to send leaves to the surface, where they form lily pads. Unfortunately, when these pads form, it drops all its aquatic leaves, leaving the plant with a bare stem. Simply cut of any leaves that grow too adventurously and it will soon regrow it. Water: The ideal water conditions for best results are a temperature of 20-27°C (68-81°F), an alkalinity of 3-6dKH and a pH of 6.0-7.2. Place this plant in tank where the water movement is not too strong. At its largest size of just 15cm (6 inches) it fits perfectly in a small tank and also works as a great accent plant in large tanks. In outdoor mini-ponds, it makes really nice floating pads with white snowflake flowers in each leaf. Make sure there is some amount of current too, as with any aquatic plant it will die with stagnant water. 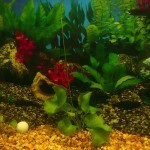 Substrate: Fine sand to large river rock used for fish tanks all works. Nymphoides aquatica should have a third of the larger banana shaped roots buried in the gravel. The plant will also put out normal shaped roots. 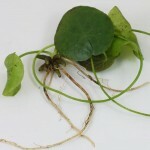 In a calm location, the Nymphoides aquatica plant can be left to sit on the bottom of the tank and the roots will plant themselves in to the substrate. This plant is a great pond plant. Just burying one third to one half of their roots in a 10cm (4 inch) pot filled with clay soil or other substrate and place it in the pond. Within its hardiness zone, this plant can be planted directly in the pond or water garden’s soil. It can, of course, also be left as free floating plant as well. Light: It requires minimal lighting, but does best in high to bright conditions. For optimal growth, the Nymphoides aquatica requires a moderate level of light at 5 watts per 10 litres (2 watts per gallon) with full spectrum (5000-7000K) bulbs. Nymphoides aquatica plant will grow faster and have a light green coloration with moderate lighting and will grow slowly and retain a dark green coloration in low lighting conditions. 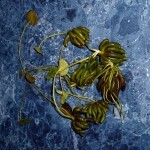 In low light, banana plants throw up short stems with small pads on the ends. 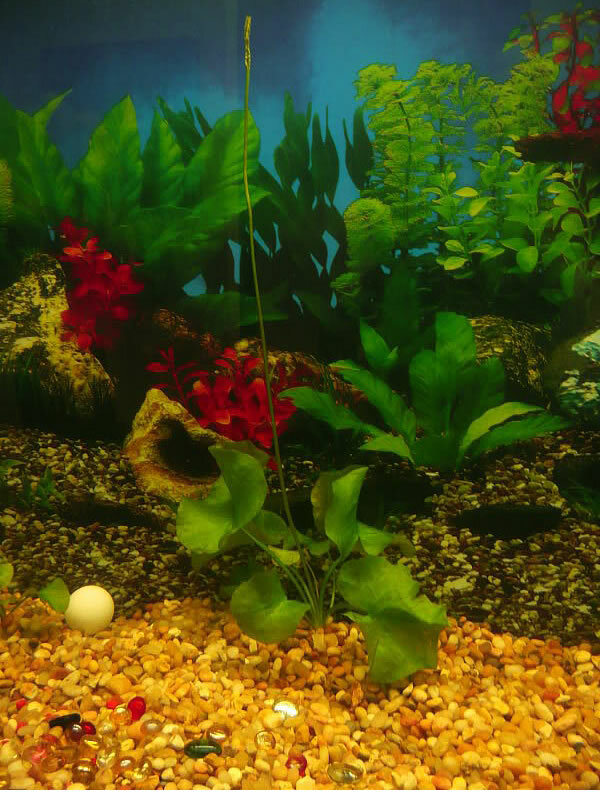 In high light, they grow stems up to tank’s surface. Those who are determined to grow Nymphoides aquatica plants in their fish tanks can stunt growth and avoid flowering by reducing light and preventing the plant from surfacing. Outdoors, this perennial grows best with two or three hours of direct light or indirect or filtered light all day; morning light is best. As pond or bog plant the esthetic features will be the water lily like appearance of this plant. After floating leaves appear, it produces white flowers. Temperature: Nymphoides aquatica plant prefers tropical temperatures and high light exposure, which makes its use in water gardens more challenging in some climates; however, indoor water gardens with proper environmental measures can support Nymphoides aquatica in most any region of the world. When temperature stabilizes at 10°C (50°F) or higher it will grow leaves up to 10cm (4 inch) and will grow beautiful flowers. Take the plant indoors into a small tank when the temperature goes below 7°C (45°F) until next season. Feeding: Nymphoides aquatica will greatly benefit from high quality aquarium liquid or substrate fertiliser. The fertiliser should have iron as an ingredient. Potash is a good ingredient for this plant as well but not required. Plants grown in fertilised medium will produce a large amount of leaves and will stimulate the floating leaves to develop banana shaped tubers in late autumn which can be used to form new plants. 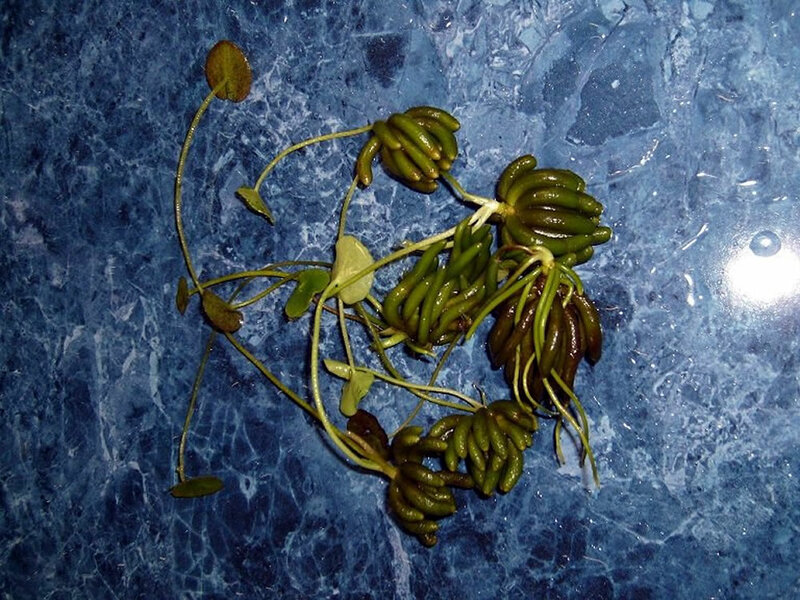 Propagation: Nymphoides aquatica propagates sexually by seeds that fall off the flowers on the surface after ripening. Asexually, most frequently, via vegetative splitting from separated leaves or cuttings. Propagation in an aquarium is usually accomplished by clipping a mature leaf and re-planting when roots emerge or simply left to float. When the lily pads grow to the surface, simply cut the stalk off about 10cm (4 inch) long left of the leaf, leave it to hang in the water and after a few weeks at the end of the stalk young white roots will start to form. Once roots form, the new plant can be planted then in tank. Another way is if the water is rich in iron and fertiliser, the side leaves will start to grow white roots straight under the leaves and then can simply cut the leaf off along with the roots and replant it. The new baby plants will stay low and will not shoot lily pads to the surface. Although a perennial it is best replaced by new stock every 4 or 5 years. 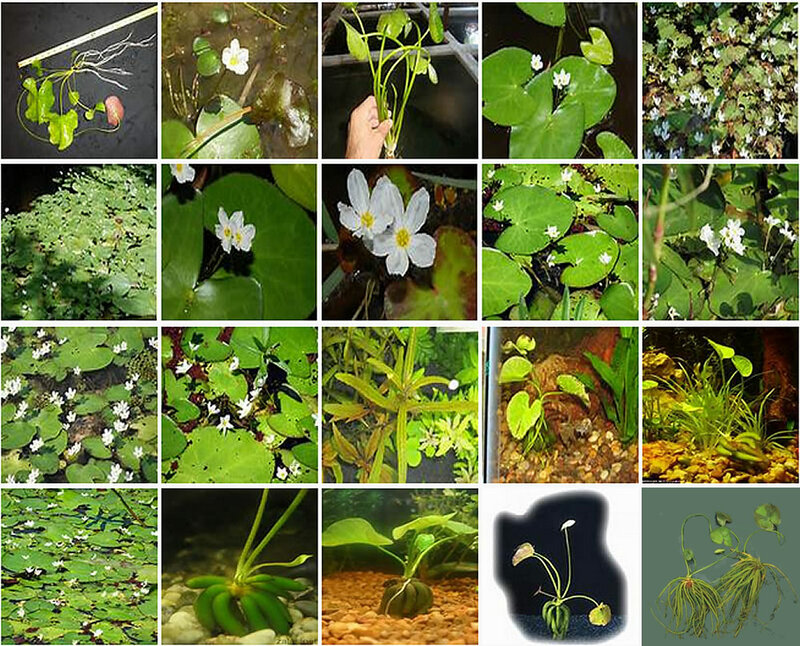 Companion plants: Nymphoides aquatica species can be kept together with other cool water plants, e.g. Myriophyllum and Sagittaria; including floating types (Azolla, Salvinia) given sufficient light/shallow water. For more tropical systems, Nymphoides humboldtiana, Nymphoides indica are suggested. Problems: Nymphoides aquatica plants can be severely damaged by snails. Note: It is important, however, to avoid species of Nymphoides that are classified as noxious weeds and tend to escape cultivation. Availability: Nymphoides aquatica are sold usually as individual rooted (unpotted) plants. Uses: Nymphoides aquatica are common aquarium plants, often being grown as fillers or specimen plants because of their unusual shape. Nymphoides aquatica can be used as background or foreground plants in aquascape. Plant them singly for best results and for the most attractive look. They look wonderful when used as filler plants with other aquatics. Adding Nymphoides aquatica to a freshwater aquarium helps create a natural look for the tank. As it grows, this plant helps purify the water by absorbing nitrate nutrients. 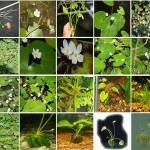 Because of the Nymphoides aquatica unique ability to be cultivated as a floating or rooted, aquatic plants, they are a popular choice for water gardens: ponds and bogs. 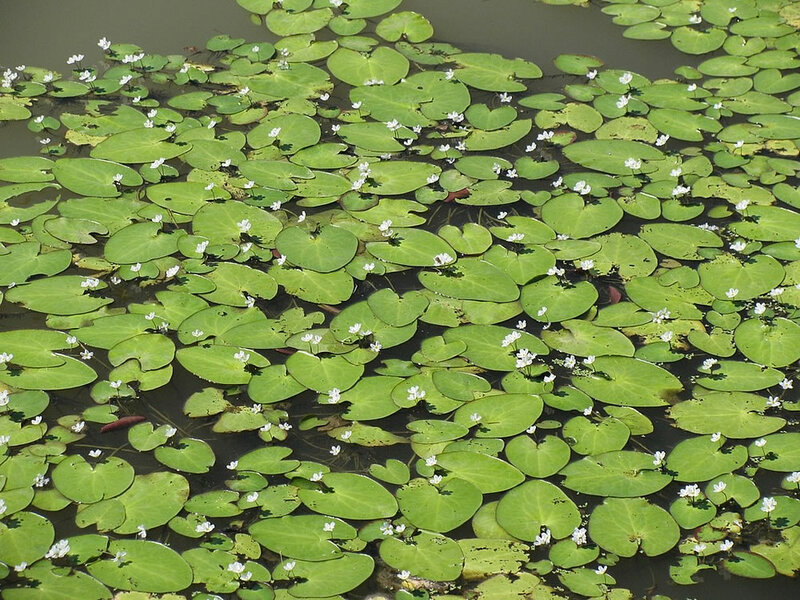 Here these plants can reach their maturity and display their water lily like floating hart shaped leaves and flowers. In favorable climates these plants will soon take over the water surface and will help keeping the water clear and provide shade for aquatic life. These plants are attractive to dragonflies in garden.